Video has emerged online of a Donald Trump supporter being punched in the head outside the 'Deploraball', an event to celebrate Trump’s inauguration in Washington. James Allsup was wearing a Trump T-shirt and 'Make America Great Again' hat while debating an anti-Trump demonstrator outside the event on Thursday. 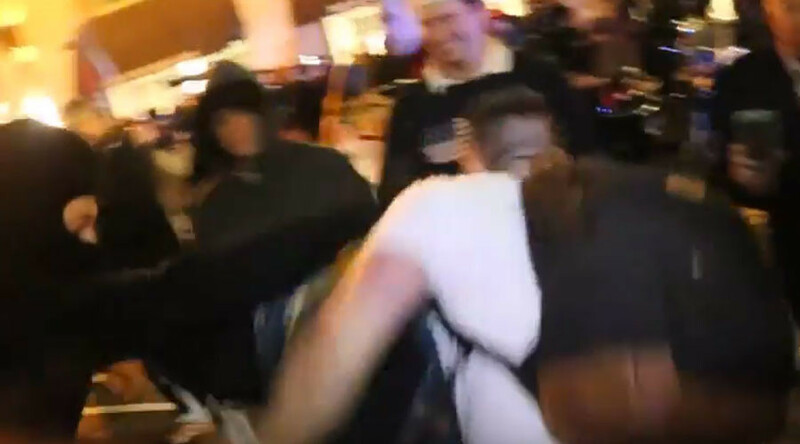 An individual wearing a ski-mask and holding a banner reading 'antifascist' is seen in the video grabbing his hat and, in the altercation that follows, Allsup is punched by another individual, also wearing a ski mask. Speaking to Fox News, Allsup, with blood gushing from his head, said he blacked out for a minute following the punch. The altercation happened outside the 'Deploraball', described by one Trump supporter as a “coming out party for a new type of Republican.” Some 1,000 Trump supporters attended the event at the city’s National Press Building, named after Hillary Clinton’s infamous “basket of deplorables” comment.